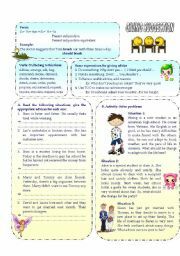 There is a theory part and 2 exercises (part A: giving advices, part B: solve problems) helping students practice speaking and writing. Have a nice weekend! 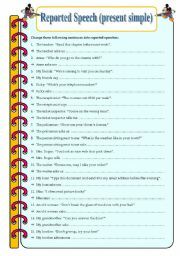 You can use it to motivate students´ reading comprehension. It´s also a good way for them to learn vocabulary. Nice weekend! A lotus for you! I use this ws at the beginning of each class. 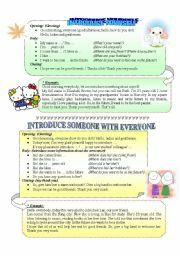 Students will introduce themselves and introduce some newcomer with everyone. There´re some expressions and samples for each one. Nice weekend! This is the sample conversation in restaurant, including a situation. It will help students practice English speaking well. 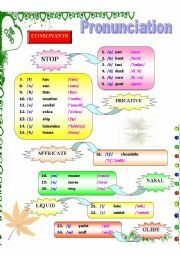 I want to share this worksheet to all of you because it´s very useful to teach pronunciation in every level. 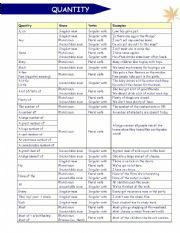 Sounds are clearly sorted in consonants (stop, fricative, afficate, nasal, liquid, glide), and vowels (monothongs and diphthongs). Hope you like it! Hope it can help you. A lotus for you. Best!!! 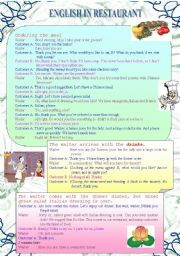 This worksheet provides you with some useful expressions using in restaurant. 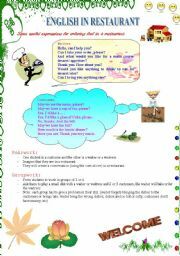 Moreover, there´re two speaking activities with the context of restaurant. There´s a sample conversation for this topic. 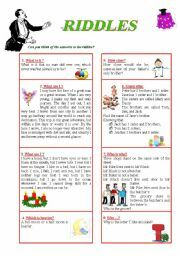 See http://www.eslprintables.com/printable.asp?id=399140#thetop. Good luck!